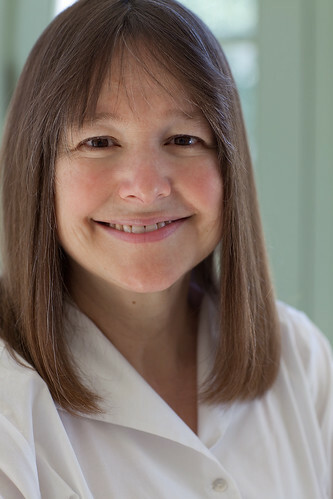 Anne Fadiman is the author of The Spirit Catches You and You Fall Down (1997), which won the National Book Critics Circle Award, the Boston Book Review prize, and the L.A. Times Book Prize. Fadiman has also written two books of essays, Ex Libris: Confessions of a Common Reader (1998) and At Large and At Small: Familiar Essays (2007), and edited Rereadings: Seventeen Writers Revisit Books They Love (2005), and the 2003 edition of Best American Essays. She has won a National Magazine Award for reporting, a John S. Knight Fellowship in Journalism, and has written for a wide array of publications, including Civilization, Harper’s, Life, The New Yorker, and The New York Times. Fadiman was a founding editor of Civilization, the magazine of the Library of Congress, and is a former editor of The American Scholar, the Phi Beta Kappa quarterly. She is currently the Francis Writer in Residence at Yale University. Fadiman is a writer of remarkable versatility. From her startlingly humorous personal essays to her empathetic portrait of cultural dissonance, what ultimately defines her prose is a combination of colorful intelligence and unflagging integrity. What was life like for you during your so-called salad days? I’m afraid my salad days consisted, so to speak, of smallish piles of rather wilted lettuce. I lived with a roommate on East 84th St. in New York, in an apartment where the roaches outnumbered the paying tenants by a ratio of several thousand to one. My roommate was an editorial assistant whose daily schedule was enviably structured. She strode briskly from our apartment each morning, dressed for success, long before I’d even risen and put on my working garb of old jeans and a T-shirt. We cooked inexpensive meals from the Joy of Cooking my mother had sent me, often purchasing ingredients from the Hungarian food stores that still predominated in our neighborhood in the mid-70s. I stayed up very late every night, occasionally galvanized to action but mostly staring at my typewriter and failing to write. When I was an embryo. My fate was foreordained by both genes and environment. I remember writing a long story at age seven about a family of wild puppies and their adventurous journey on the back of an alligator. One day I worked on it so long that I got writer’s cramp. My destiny was sealed. Was the decision easier or more difficult to make considering that both of your parents are writers? It wasn’t a decision, more like an inevitable slide. Having writers as parents makes the path both easier (because one grows up surrounded by books and sees at first hand that it’s possible to make a living as a writer) and harder (because the shadow of parental success is long and potentially inhibiting). How did you go about pursuing your early writing career? I wrote for my college alumni magazine while I was an undergraduate, so I had a decent stack of clips by the time I graduated. I didn’t immediately plunge into the world of New York publishing, though I knew that journey lay inescapably in my future. Instead, I went to Wyoming to become a wilderness instructor at the National Outdoor Leadership School. I came back east when I started to worry that other young writers might be getting ahead of me, though in retrospect I wish I’d stayed at NOLS for at least one more year. I would have had a great time, and my writing career would have waited patiently for me. Once I got to New York, I freelanced for three years, supplementing my meager honoraria with proofreading. Then I got a full-time job at Life magazine, where I stayed for nearly a decade. What kind of challenges did you face early on? The hardest challenge during my freelance years was motivating myself to write. When your commute is only five feet—from bed to desk—it’s hard to feel connected to the outside world. Deadlines seem more theoretical than real. Things got easier once I joined the Life staff and my rhythms inexorably aligned themselves with the rhythms around me. Can you recall some early triumphs? No. During my early freelance years, although I wrote some decent pieces for some decent periodicals, I usually felt more guilty than triumphant because I expended more energy worrying about what I ought to be doing than actually doing it. No. There were times when I had a hard time writing, but I had the confidence—or perhaps hubris—to assume the blocks were temporary. What other kinds of jobs have you taken to support yourself and your writing? As I mentioned earlier, my first job after college was as a wilderness instructor in Wyoming, and during my early years in New York I did some proofreading. I also worked as a manuscript reader for the Book-of-the-Month Club. If memory serves, not a single book I read was ever chosen. Later in my career I spent long stretches (seven years each) as an editor and a teacher. I’m still a teacher and have no plans to stop any time soon. I’ve found each of those latter two jobs at least as satisfying as I’ve found writing, and at the moment I’m happy to place teaching rather than writing at the center of my life. It feels more useful, at least as creative, and more likely to provide me with an upwardly slanted learning curve. And it’s so much fun! You spent quite a number of years researching and writing The Spirit Catches You and You Fall Down. Can you tell me a little bit about what that process was like? Did you ever feel discouraged? To answer that question fully would take several thousand words. Here’s an inadequately nutshell-ish version. I did most of the reporting in the first few months; spent several years (by far the longest phase) reading sources and organizing my material; wrote for two or three years; and spent a year checking and writing source notes. This all added up to more than eight years, though I also had a couple of children during that period and was thus happily distracted for some extended stretches. The book grew from a piece that was originally commissioned by The New Yorker. The editor who had assigned it accepted it and (thank God) paid for it, but he was replaced by someone who would have been considerably more likely to jump from the 20th floor of the Condé Nast building than to publish a 35,000-word three-part series on an epileptic Hmong toddler. Before I gathered the gumption to revisit the material and expand the unpublished piece into a book, “discouragement” would have been an understatement. Today I’m concentrating on teaching, so my writing is crammed into part of each summer. My students are so good that I feel quite sure that any lasting impact I have on American literature will be through their work rather than my own, and I’m therefore far more excited by their writing than about mine. However, when I do write it certainly makes things easier to know that it will likely find an audience. Things are exponentially tougher than they were when I was starting out thirty-five years ago. I’d give unlimited encouragement to self-motivated young writers who plan to support themselves doing something else and to write in their spare time. Perhaps they’ll publish, but even if they don’t they will likely gain some satisfaction from their work, and, more important, they won’t starve. To those who plan to make a living as writers, my encouragement is, alas, considerably more circumspect. If they’re able journalists, they may be able to keep their heads above water at a newspaper (though that’s a shrinking world) or an online periodical, but if they’re writers of fiction or literary nonfiction, the chances that they’ll survive without other sources of income are slim. They have to be really, really good. Fortunately, a few young writers are really, really good. Some of my students, for instance, write far better than I did at their age. I’m sure they’re not the only ones. If you have good reason to believe you belong to that minority, having received ecstatic messages both from outside critics and from your gut, go for it. This entry was posted in Writers and tagged "At Large and At Small: Familiar Essays", "Best American Essays", "Civilization", "Ex Libris: Confessions of a Common Reader", "Rereadings: Seventeen Writers Revisit Books They Love", "The American Scholar", "The Spirit Catches You and You Fall Down ", Anne Fadiman, Boston Book Review prize, Francis Writer in Residence at Yale University, John S. Knight Fellowship in Journalism, L.A. Times Book Prize, National Book Critics Circle Award, National Magazine Award for reporting. Bookmark the permalink.